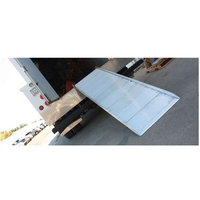 Commercial, industrial Aluminum Loading Ramps in a wide choice of lengths, widths and load capacities to meet your requirements. 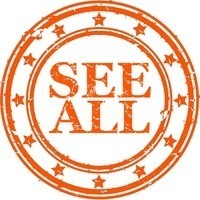 Choose from Straight Ramps, Folding Ramps and Ramps Designed for Installation. 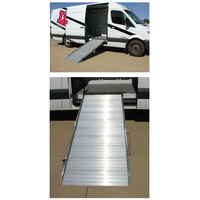 Link Manufacturing develops an extensive line of aluminum ramps - providing safe, durable, economical solutions for loading and hauling. 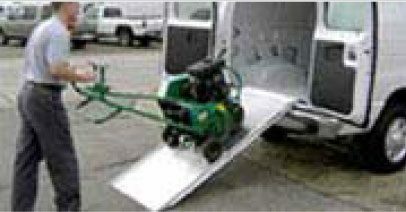 Each Link ramp is engineered, tested and built with safety in mind. 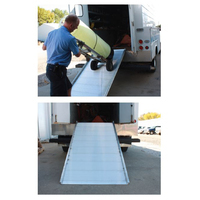 All of our ramps undergo thorough durability analysis and are tested to three times the rated capacity. So whether you require a bifold, trifold, lightweight, heavy duty or customized solution, you can be confident that each Link ramp is built to the highest quality standards.